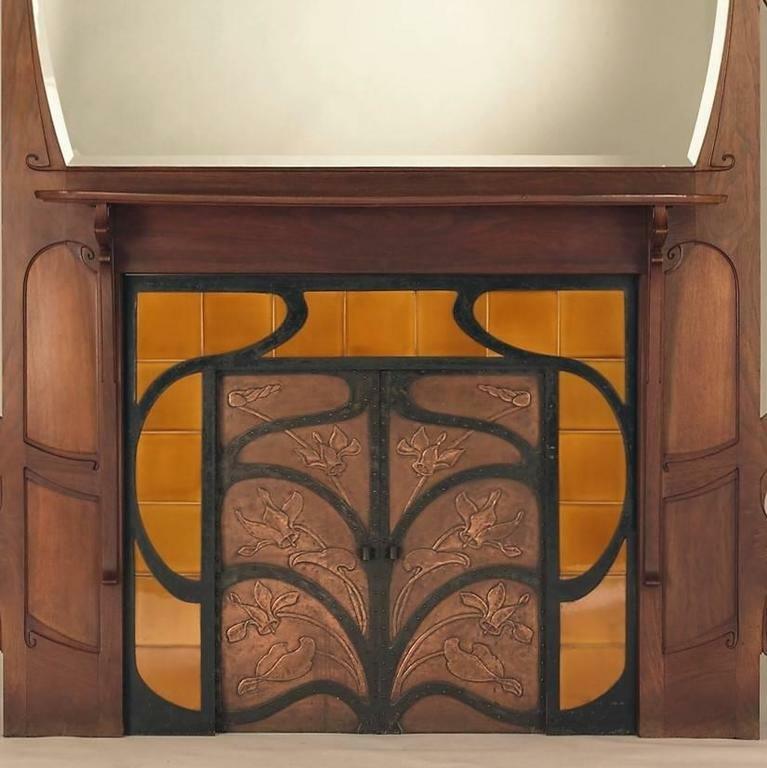 A unique Museum Chimneypiece from the famous Belgian Architect G. Serrurier-Bovy made for the exhibition in Paris at the Champ de Mars in 1899. It is one of the last important historical masterpiece to acquire. 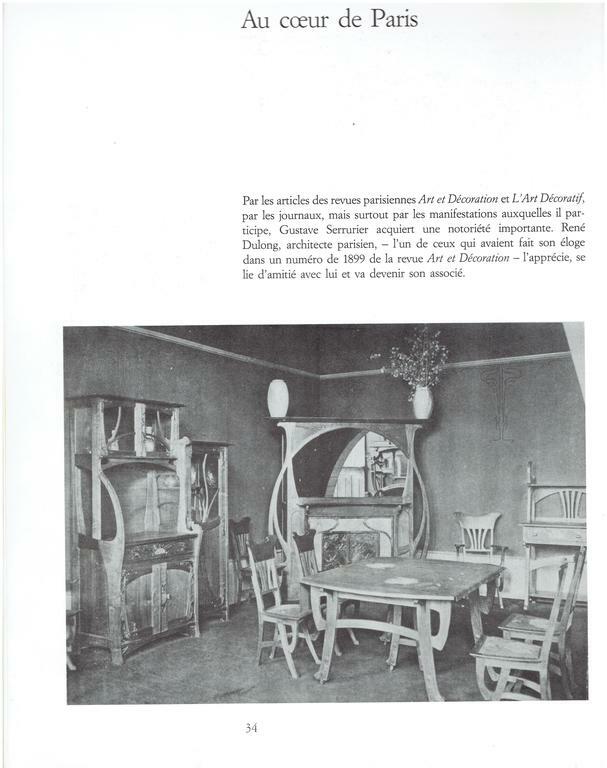 Publications: "De l'Art Nouveau à l'Art Déco" from J.G. Watelet, pg 34. "Un créateur précurseur" from Etienne du Mesnil du Buisson, pg 232. "Acteur du Futur" from Xavier Folville, pg 11. 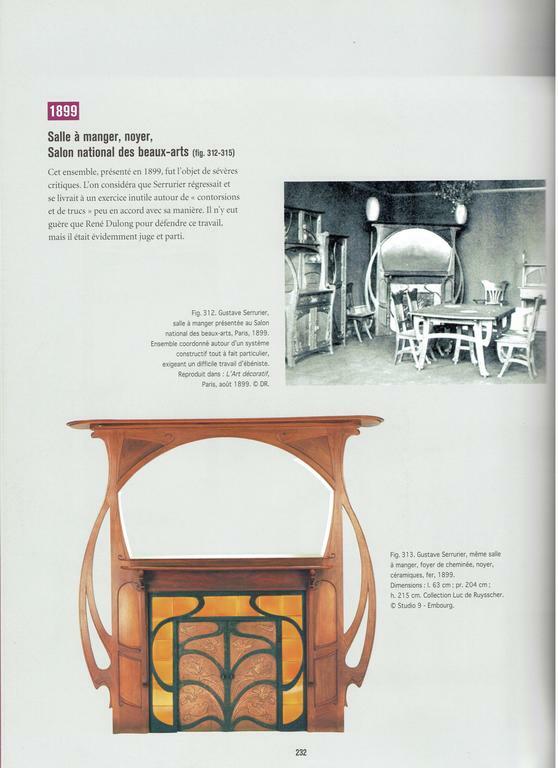 "L'Art Nouveau" from Klaus-Jürgen Sembach, Taschen pg 44. Exhibitions: Paris at the Champ de Mars in 1899, Liège at the MAMAC 2008-2009. 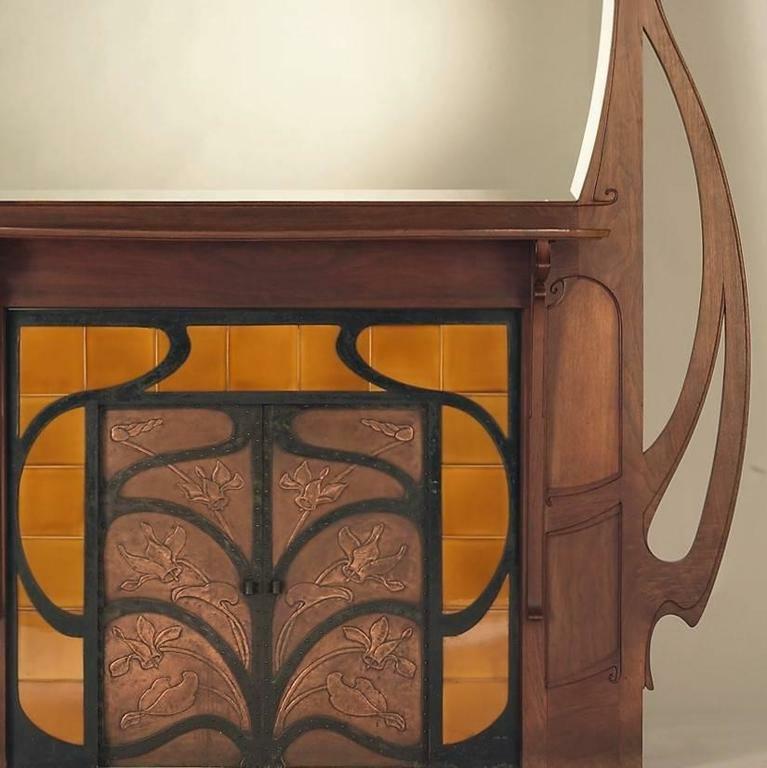 CAUTION IMPORTANT NOTICE: Furniture and objects from Serrurier-Bovy are offered on 1stdibs that are not designed by him. Even though this is reported to the vetting team of 1stdibs, they do nothing to solve this problem. In very good condition. 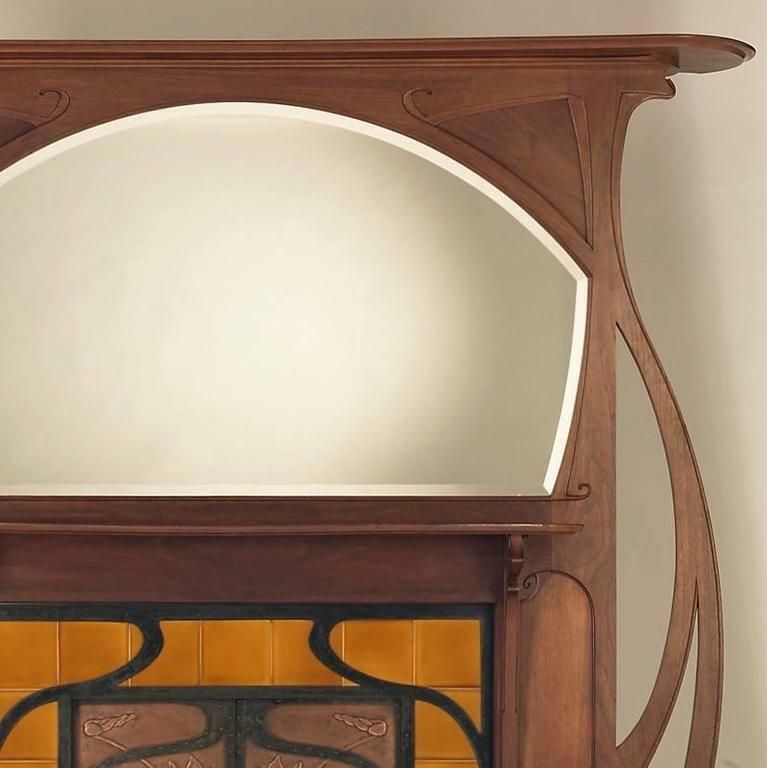 The top, the sides and the fire place are completely removable. 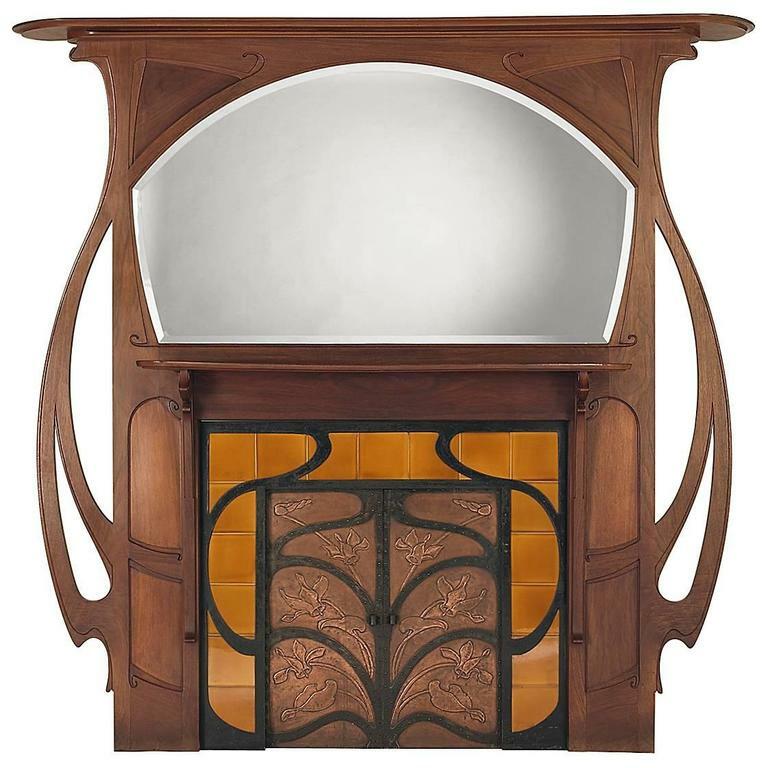 Exceptional Art Nouveau planter of the Architect Serrurier-Bovy of a purified design in wrought iron and brass, circa 1900. 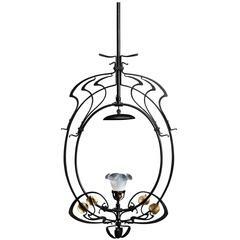 The wrought iron is riveted without welding. A finely veined Carrara marble Victorian corbel fireplace surround with large corbels supporting the wide moulded shelf, English, circa 1860.